How do the western left wing anti-Semites get away with it ? The SA media is equally appalling, no doubt cheered on by Tutu and his idiotic attempts to slate Israel as an apartheid State. 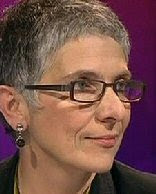 Things are just not what they seem, and Melanie Phillips makes that only too clear in her commentary on the Gaza flotilla incident. The commanders of the first unit were hit by the mob as they landed. One of the soldiers managed to fix another rope, after there were problems with the original one, for 10 more soldiers to land. The commandos cared for the wounded and took over part of the upper deck of the ship. At this stage, six minutes into the operation, another force landed from a second helicopter, led by a major. At that point they realized that three commandos were missing and they began looking for them. A short while later the naval commando chief landed along with dozens more soldiers, some of whom climbed from boats. Others landed from a third helicopter. The search involved limited shooting, in the bridge and on the lower deck, until the three men were recovered. The head of the naval commandos gave orders by radio to use live fire, two minutes after the incident had begun. … After the incident, 9mm bullet casings were found – a kind not used by the naval commandos. The Israel Defense Forces says that during the operation a number of pistols and an M-4 rifle were taken from soldiers, but they believe that the Turkish activists had other weapons. The captain of the ship told the naval commando chief that the guns were thrown overboard before the ship was completely taken over. The more we know about this incident, the more apparent it becomes that this was a carefully pre-planned terrorist operation by the IHH to kill and capture Israeli soldiers. The ‘humanitarian aid’ was a total fig-leaf. The threadbare, indeed ludicrous claims by the west’s terrorist supporters –aka Orwellian ‘peace protesters’ — that the Israelis had conducted an aggressive and bloody assault upon a humanitarian aid convoy have fallen apart. Indeed, even on BBC Radio’s Today programme this morning Sarah Colborne, director of campaigns at the Palestine Solidarity Campaign was reduced to squirming and equivocating under some unusually pointed questions from the normally vapid Sarah Montague; read part of the exchange here courtesy of the increasingly impressive Just Journalism site. This entry was posted on Sunday, June 6th, 2010 at 6:11 am	and is filed under Uncategorized. You can follow any responses to this entry through the RSS 2.0 feed. You can leave a response, or trackback from your own site.